For over a century, water planning and policy in California assumed perpetual increases in water demands for agricultural and urban uses. Of course, nothing can increase forever, but for several generations it seemed reasonable that almost any high water demand forecast would eventually be exceeded. Today, we might be seeing the peak of agricultural and urban use in California overall, as illustrated in Figure 1. From 1850 until about 1980 vast expansions in irrigated agriculture and urbanization occurred. Since about 1980, agricultural water use statewide has ceased to expand and appears to have declined. And since the mid-1990s, urban demands have flattened, despite continued population growth. Figure 1. Modified from Figure 2.8 in "Managing California's Water: From Conflict to Resolution" (Hanak et al., 2011). Most land profitable for irrigated agriculture is already irrigated. Agriculture is a declining proportion of California’s economy (currently less than 5%, including related agricultural processing). Urbanization of agricultural lands is removing agricultural water use near cities and transportation arteries. Salinization and drainage problems are causing abandonment of agricultural irrigation in parts of the San Joaquin, Tulare, and Colorado River basins (DWR 2009). Farmland is being fallowed due to transfers to urban uses from water sales (in the Colorado River basin) and high prices (in Southern California), reflecting increasing water scarcity. Farmland is being fallowed due to environmental restrictions (primarily for diversions from the Sacramento-San Joaquin Delta and the Trinity River–varying from zero to perhaps about some thousands of acres, depending on drought conditions), also reflecting increasing scarcity and competition for water. With or without environmental restrictions, we can expect slow long term declines in agricultural water use, accompanied by increasing statewide farm profits, as farmers continue to improve agricultural productivity and shift to higher value crops (fruits, vegetables, nuts) (Brunke et al. 2004). Urban water use in California typically grows with population, household income, economic activity, as well as the shift of population growth to hotter inland areas. But California’s population has been growing more slowly than in the mid 20th century, and total urban demand growth has flattened because of widespread reductions in per capita water use since the early 1990s. Slow growth in total urban water demand seems likely over the long term. When urban growth in inland areas displaces irrigated crops, net water use can actually decrease (Table 1). To illustrate this, in much of the Central Valley, gross water use applied per acre of agricultural and urban development is roughly equal, at say 3 acre-feet (af) per acre. In agriculture, perhaps 80 percent of gross water use is lost to plant evapotranspiration, so net water use is roughly 2.4 af/acre. In contrast, about 50 percent of gross urban water use returns to the sewer system and can be reused downstream after treatment, so the corresponding urban net water use is roughly 1.5 af/acre, or 0.9 af/acre less than the agriculture it replaces. Since much urban growth is on formerly irrigated lands near cities, long term stability or declines in overall water use (particularly net water use) is possible with urban and population growth. Also, since roughly half or more of urban water use is for landscape irrigation, there is considerable potential for additional long-term reductions in net urban use with changes in landscaping techniques and plants. Modified from Table 2.2 in "Managing California's Water: From Conflict to Resolution" (Hanak et al., 2011). Although overall water use is likely to plateau or decline in California, these trends will not be the same everywhere. Many urban areas have experienced significant short-term declines in water use with the recent recession, but over the longer term many local urban water systems will see continued growth in use. In some regions, particularly more urbanized parts of southern California, growing urban water use will exceed reductions in local agricultural water use. These local and regional trends are important. The prospect of a long-term plateau or decline in water use in California is fundamentally positive for the politics of water in California (although it has some negative implications for utility finance). No longer should policymakers fear vast inevitable growth in long-term water use, with apocalyptic zero-sum consequences. 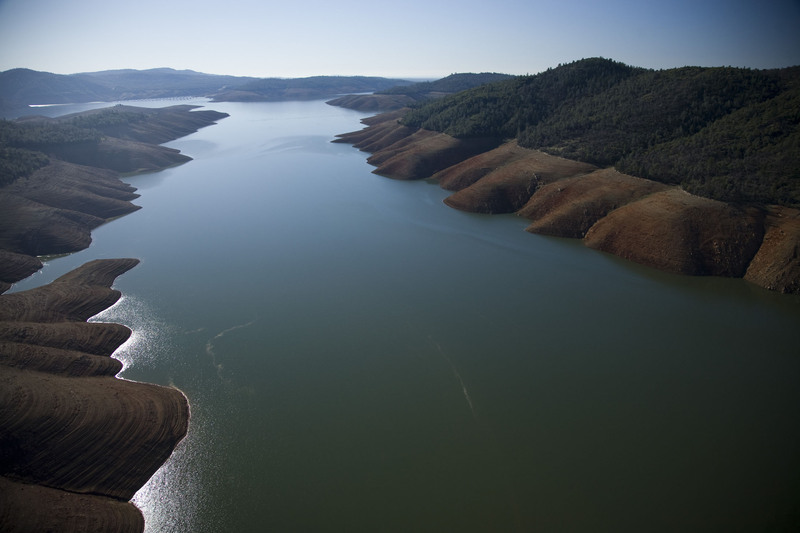 California can have growth and prosperity without continued increases in water use. Water conflicts need not become increasingly severe and debilitating. This should help improve and civilize discussions and deflate some of the rhetoric involving water management and policy in California. Brunke, H., R. Howitt and D. Sumner, (2005), Future Food Production and Consumption in California Under Alternative Scenarios, University of California Agricultural Issues Center, Davis, CA. Hanak, E., J. Lund, A. Dinar, B. Gray, R. Howitt, J. Mount, P. Moyle, and B. Thompson, (2011), Managing California’s Water: From Conflict to Reconciliation, Public Policy Institute of California, San Francisco, CA, 500 pp., February 2011. Hanak, E. and M. Davis, (2006), Lawns and Water Demand in California. Public Policy Institute of California, San Francisco, CA. Lund, J. and R. Cahill, (2011), Can California further reduce urban water use?, CaliforniaWaterBlog.com, posted June 8, 2011. Lund, J., E. Hanak, R. Howitt, A. Dinar, B. Gray, J. Mount, P. Moyle, and B. Thompson (2011), Taking agricultural conservation seriously, Posted on March 15, 2011. This entry was posted in California Water, Economy, Planning and Management, Sacramento-San Joaquin Delta, Water Conservation and tagged CA State Water Project, California, UC Davis Center for Watershed Sciences, water conservation, water management, water planning, water supply. Bookmark the permalink. 1 Response to Has human water use peaked in California?